Mason City's Police Department is located at 78 South Georgia, Mason City, Iowa. Phone is (641) 421-3636 (Answered 24 hours a day every day). 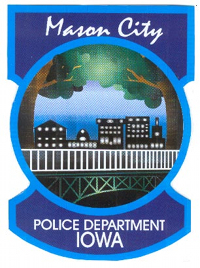 The Mason City Police Department began as a Marshall and Deputy Marshall from February 1870 until April 1909. On April 12th 1909 the department was officially organized into the present day police department. The 1909 five-man department has grown into the forty-nine officers of today, not including civilian employees. 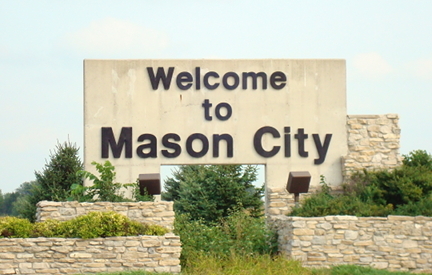 The Mason City Fire Department is located at 350 5th St SW, Mason City, Iowa. 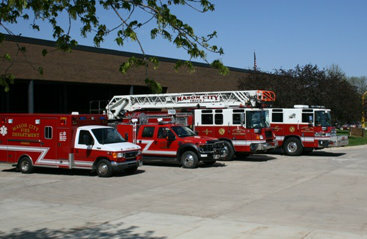 The Mason City Fire Department was started in 1870 as a volunteer fire department. By 1909 the Department was a fully-paid career department. The Department works out of one fire station centrally located in Mason City at 350 5th St SW. This is only the fourth building to ever house the Fire Department. 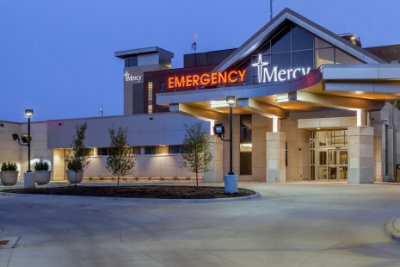 Mercy Medical Center North Iowa is a faith-based, not-for-profit community health care system that offers comprehensive health care services for people throughout northern Iowa and southern Minnesota. 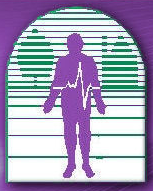 Since 1827, people have turned to Mercy for health care. Catherine McAuley opened the first House of Mercy in Dublin, Ireland, where people in need were offered shelter, education, and health care. In 1843, the healing ministry of Catherine McAuley and the Sisters of Mercy was brought to the United States where the first Sisters of Mercy Foundation was established in the U.S. In the late 1800s, the Sisters of Mercy opened hospitals in rural towns and cities across the state of Iowa. The sisters were determined to carry out their mission - caring for persons in need. They worked closely with physicians, nurses, and other individuals who shared the belief that all people in the community deserve good care, given in a compassionate, respectful manner. The Sisters of Mercy opened St. Joseph Mercy Hospital in Mason City in 1916. Their efforts to care for the growing community augmented those of a group of local doctors, who had established Park Hospital seven years earlier. Park later was renamed North Iowa Medical Center and was moved from its downtown location to the west side. Mercy is located at 1000 4th Street SW Mason City, IA 50401, phone (641) 428-7000. Cerro Gordo County Department of Public Health works to optimize the health of all people in Cerro Gordo County. Offices are located at 22 N. Georgia Avenue in Mason City. They're on the third floor of Mohawk Square which is across the street from the Mason City Police Department in downtown Mason City.